Project Safe, a local nonprofit dedicated to eliminating domestic violence in Athens and the surrounding area, began in the 1970s as a small network of volunteer safe houses in Northeast Georgia. It incorporated as a nonprofit in 1990 and today employs 23 staff. Experience has shown that there exists no one single solution to ending domestic violence. 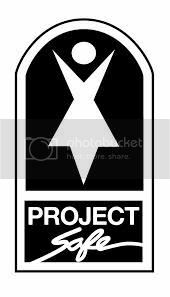 Project Safe therefore employs several methods in combating domestic violence and providing aid for its survivors. The most well-known component of Project Safe is its emergency crisis shelter. This shelter proves a safe space for people fleeing abusive homes where they can stay until a more permanent solution is found. Last week, I spoke with Joan Prittie, the executive director of Project Safe, to find out more about her organization. Joan said that while the emergency shelter is vital to Project Safe, the organization has made an intentional shift toward advocacy and education. One organization can only do so much by itself; Project Safe reaches out to the community to educate and prevent domestic violence in Northeast Georgia and to ensure that domestic violence survivors know what resources are available to them. Project Safe uses what Joan calls a “learning loop” to meet the changing needs of victims of domestic violence. The staff works with the clients extensively to observe unaddressed needs and reaches out to the Athens community and local partners for additional assistance. This method helped Project Safe develop a partnership with Advantage Behavioral Health to benefit women suffering from both substance abuse and domestic violence. The learning loop also shapes the issues for which Project Safe advocates at the state and local level. In Joan’s 14 years as executive director, she’s seen a huge change in Athens, especially a “giant increase in awareness of the issue.” Domestic violence victims know they have a recourse. She has also noticed a significant reduction in stigma. Athens is a very supportive community, according to Joan. Networks and collaboration between nonprofits help everyone. For example, Full Plate and Northeast Georgia Foodbank donate food to the shelter, which helps survivors and lets Project Safe squeeze every dollar. Everyday Athenians help Project Safe by volunteering, shopping in the thrift stores, attending events, and just by talking to their friends and neighbors. Additionally, Project Safe’s continued collaboration with the “3 P’s” (Athens-Clarke County police, probation officers, and the prosecutor’s office) have put domestic violence at the center of law enforcement’s mind. “Project Safe has gone through the entire legal system, start to finish, with clients,” Joan said. Project Safe offers a variety of services, falling under four distinct categories, to treat the survivors of domestic violence with the respect and dignity that they deserve. First is Crisis Intervention, where Project Safe mans a 24-hour hotline (706-543-3331) to provide a safe space for survivors at a moment’s notice. They also provide emergency shelter for survivors who need a place to stay. Newer programs include “Breaking Silence “ a texting line (706-765-8019) that educates local teenagers about domestic violence. Project Safe also maintains a partnership with the UGA vet school allowing survivors to bring their pets when they escape a violent situation. Finally, Project Safe can assist with obtaining a temporary court order for the survivor. The second area of focus is Ongoing Supportive Services. This includes individual counseling, providing transitional housing, and offering support groups for children and adults. Project Safe also communicates regularly with the Athens-Clarke County Police Department to follow up on arrests and police reports. In turn, the ACCPD often refers domestic violence survivors to Project Safe for additional services. The third service is prevention and education. Joan says Project Safe will offer education to anyone who asks. This includes professional in-service training to judges, attorneys, or police who frequently work with survivors of domestic violence. Young people are a focus as local schools often ask Project Safe to give educational presentations in elementary and high schools to promote awareness of the domestic violence. Project Safe uses videos made by their dedicated staff and offers them as a resource for domestic violence shelters in other areas. Lastly, Projects Safe engages in Systems Change Advocacy, ensuring that the law views and treats survivors of domestic violence with respect. They often provide expert witness testimony for court cases where domestic violence is an issue. Volunteers are always welcome, and opportunities ranging from working in its thrift stores to being a trained mentor in a support group are posted on their website. Joan was very proud of Project Safe’s award-winning internship programs open year-round to undergraduate and graduate students.